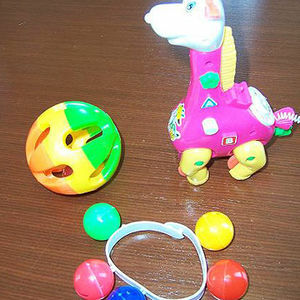 These toys contain small parts, which could pose a choking hazard to young children. This recall includes about 2,000 rattles and wind-up toys. Dollar stores in California from January 2005 through May 2007 for about $1. Immediately take the toys away from children and return the product to the original store for a full refund. For additional information, contact Tri-Star at (510) 856-8785.